It doesn’t get much easier than making a sandwich for lunch. But, the same old bologna and cheese sandwiches can get a little old. 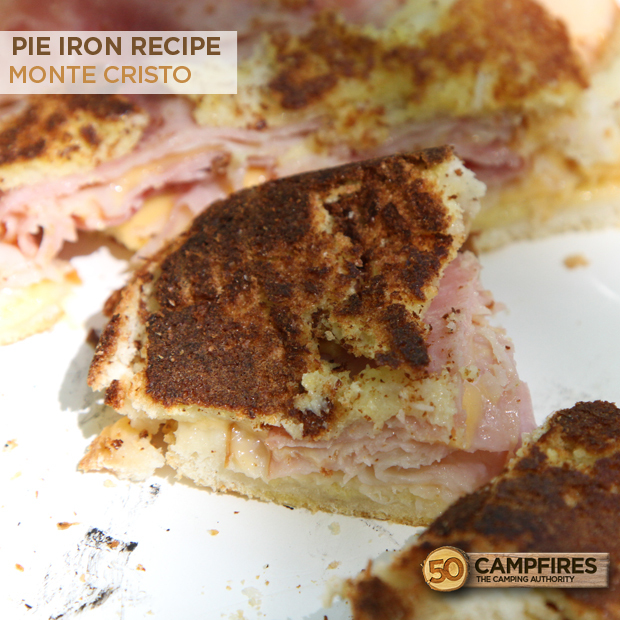 This awesome pie iron Monte Cristo Sandwich puts a twist on the traditional sandwich. 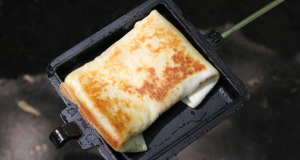 I would have never thought of making a Monte Cristo while camping, to me it just sounds too fancy. 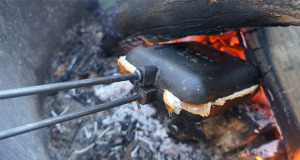 Pie Irons is one of our favorite ways to cook while out camping. 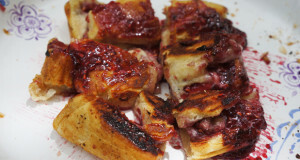 Pie irons are very easy to use, so you can get the kids involved. 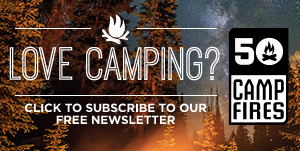 It only takes three easy steps. One, apply butter to cooking spray to each side on the pie. Two, stuff with all the awesome and delicious food you want. Three, enjoy your food and easy clean up. So easy and so simple. 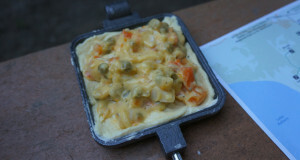 Don’t forget to also check out the Ham Omelet and Spicy Sausage and Scrambled Egg Pie pie iron recipes. 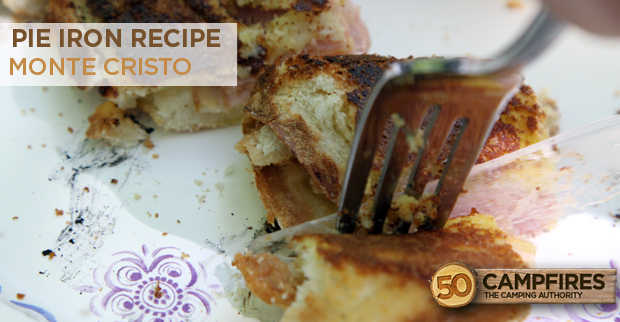 But in reality, prep time was low and with around 15 minutes of work you can have a delicious Monte Cristo sandwich that is WAY better than that bologna and cheese sandwich. When heading out for the weekend we try to do as much prep work as possible so that we can have time to relax. 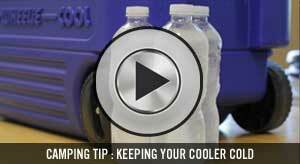 But this simple recipe allowed for everything to easily be assembled at the site. 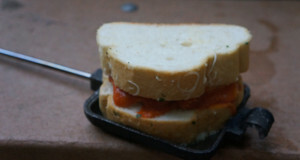 Just bring along an egg and a tablespoon of milk to mix together and dip the bread in before assembling your sandwich. This will give the bread a nice crust to it. 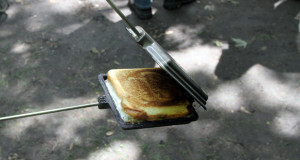 When serving, I bring along a little powdered sugar to put on the top of the sandwich… yummy! 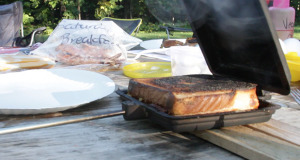 We originally found this recipe over at Family Camping Chat, and was hesitant that the kids wouldn’t enjoy it. But, I was happily surprised at how much they loved the Monte Cristo Sandwich. When they here the name, they assume it’s going to be “adult” for them but one taste of all that ooey gooey cheese mixed with ham and turkey and they forget all about its fancy name! Mix the egg and milk together, dip bread in milk egg mixture to coat the bread. 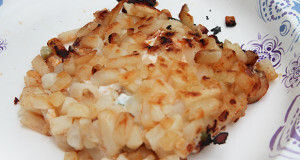 Place one slice of coated bread in seasoned pie iron. 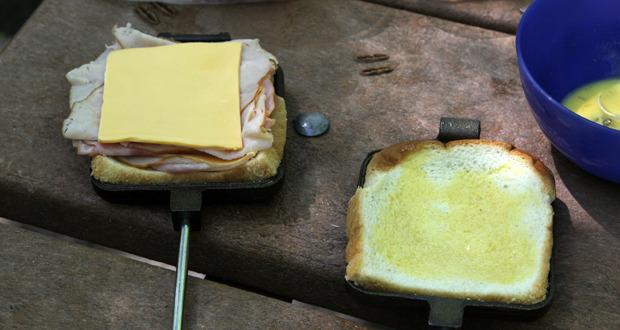 Lay the meat and cheese on top of the bread, top with other slice of coated bread. Cook for about 5 minutes on each side or until done.